You must be invited by a Worldmaster to visit a world, unless you are the Worldmaster of course. (see Worldmaster Powers). 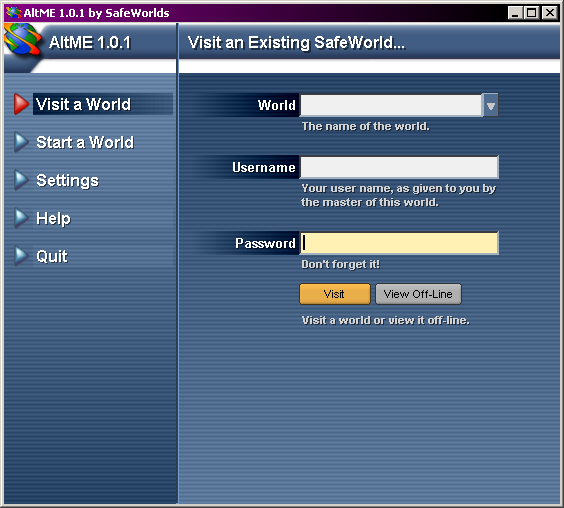 If you don't have the AltME software installed, you'll need to download and install it. 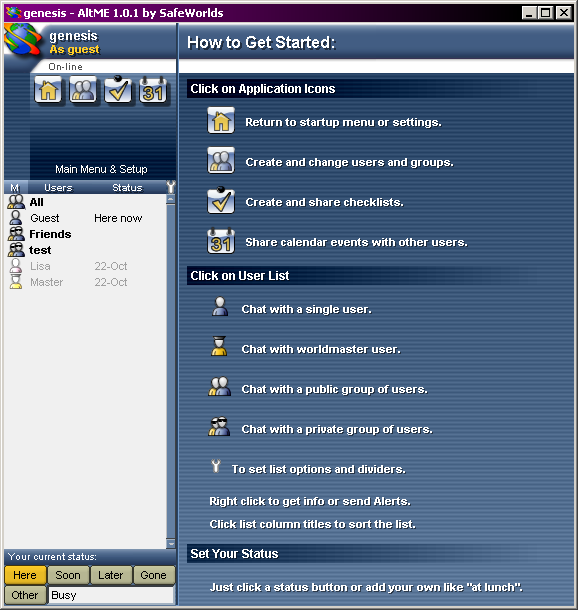 Launch AltME to open the Start Window. You can launch AltME from the desktop. A Worldmaster can give them to you. You can contact the Worldmaster yourself. You can start your own world and be the Worldmaster. 2. 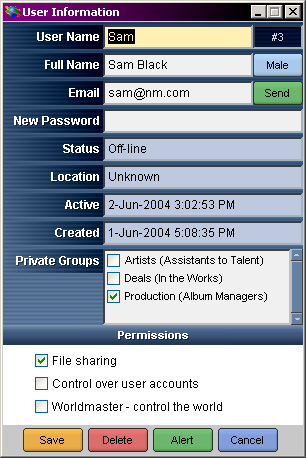 Enter the world name, username, and password in the boxes. You will probably want to change your password before you do anything else. Once you've changed it, even the Worldmaster won't know what it is. 1. With the right mouse button, click your username on the list. 2. Type a new password and press the Enter key. 3. Type it again in the Password Confirm Window and hit Enter. You won't lose any messages or miss any discussions if you leave the world. They will be waiting for you when you visit again. Now you can visit a different world or start a world of your own. Just close the window. That's all there is to it. 1. You may have typed the wrong world name, username, or password. Check your typing and try again. 2. Your username may not have been created yet. 3. The world may not be running. 4. Your computer may not be connected to the Internet. Make sure you are connected and try again. You can report any other problems to Safeworlds, Inc. [link to Bug Report].